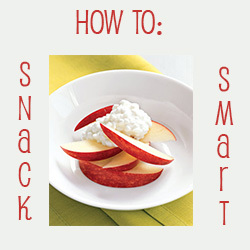 We all get snacky and having a good healthy snack during the day can be a good thing. It helps keep your metabolism working and in turn allows your to lose more weight. Great ideas! I like celery with almond butter (you can make it at home cheaper than buying it), and I actually like some of the "green" shake recipes I've tried. They fill you up for a while and get you your veggies for the day! Great ideas there too! I really need to try some "green" smoothies! Dessert Healthy Snack: Greek Yogurt, lil bit of honey w/ sliced strawberries. Sooooo yummy! That sounds so yummy! I love strawberries and they are in season right now too! I love nuts! They're easy to just grab a handful which limits how much I eat. Or just carrots and celery, though usually with hummus. Snack time is where I usually have to be really careful to not grab sweets. Thanks for the ideas to make it easier! You can get it at any grocery store. Or I know it's actually not too hard to make! Most of my family doesn't like hummus. I think it's more of an acquired taste. Or they don't worry as much about what they're eating so they eat other stuff. Good post. I love mini rice cakes and yogurt, some fresh fruits and veggies. Pretty nutritional and healthy. I love hearing from anyone who comes to visit! Check out these blog topics!